My husband and I came home from church this morning and decided that we wanted to make something creative. So we headed over to the kitchen and looked through our refrigerator and pantry. We realized that we had an abundance of almonds. 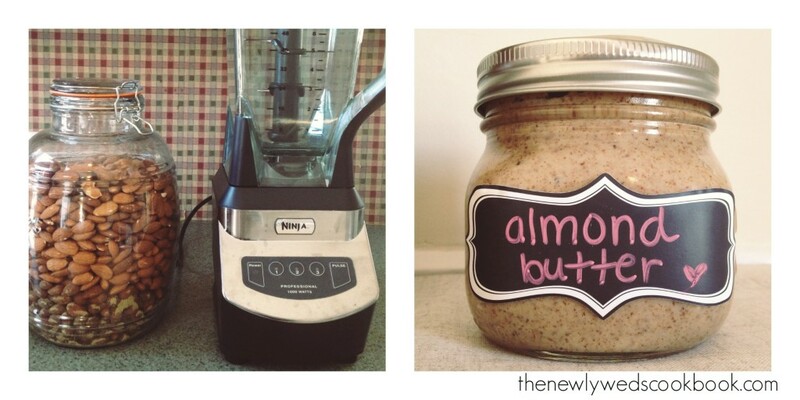 We both love peanut butter and almond butter so we decided to make some homemade almond butter! What we did was quite simple and while it took a lot of patience, it was absolutely worth it. We threw about five handfuls of almonds into our ninja blender. At first it looked like almond dust, but slowly it became a creamier substance. We added a teaspoon of both coconut oil and honey to the blender to add a bit more flavor. This entire process took about 15 minutes. One of the students at my school shared an awesome recipe using almond butter! Mix well. Roll into balls and refrigerate for 30 minutes. If using almond butter, you may want to add more honey and decrease the amount of flax to add more stick. Karis, do you mean coconut oil, or coconut flakes/shredded coconut? Awesome! Thank you! I think I am going to make these next week 🙂 I will give you some props!